After I was diagnosed with celiac disease, it took some time to figure out exactly what I could and could not eat. Here is a list I found to be a helpful reference when learning what foods to avoid. The FDA Food Allergen Labeling and Consumer Protection Act requires labeling of the top eight allergens: milk, eggs, peanuts, tree nuts, fish, shellfish, soy and wheat. However, the absence of wheat in a product does not guarantee a food is gluten-free. The following grains (and ingredients derived from them) should not be consumed and may be included as undeclared ingredients. I found this and a lot of other good information at the National Foundation for Celiac Awareness website. I don’t even know what some of these things are, but it’s nice to know what to look for on labels. While oats in their natural form do not contain gluten, an estimated 1%- 5% of celiac patients react to oats in their pure form. Some literature suggests that a protein in oats can trigger a similar response to gluten. Additionally, most mills that process oats also manufacture wheat, making the chances of cross contamination inevitable. The best advice we can offer is to take a great deal of care before introducing oats into your diet. There is no way to determine if you will react, so proceed with caution. Verify that the oats you are using are made in a gluten-free facility and are certified gluten-free. Bob’s Red Mill uses this logo on all of their certified gluten-free products. The food producers have until August 2014 to comply with this rule. I’m really glad they did this and will feel more confident when buying foods labeled “gluten-free.” This rule doesn’t apply to restaurants yet, so I will still be very cautious when eating out. Maizy brought me some grain-free dog food. She said now she won’t get “contaminated.” I don’t know what that means, but I LIKE dog food! MMM! This week I decided to try whole grain sorghum. I used Bob’s Red Mill brand and followed the cooking directions below. It still seemed a little crunchy after cooking for an hour and there was still quite a bit of liquid, so I cooked it an extra 30 minutes. Whole grain sorghum has a crunchy, nutty taste, a bit like brown rice or wild rice. It absorbs the flavors of whatever seasoning you put in it. I found this recipe to be really tasty and filling. It needed some color so I added 2 cups of fresh baby spinach when I put in the onions and walnuts. In a medium pot, bring 3 cups of broth (or water) to a boil (if using water add salt for seasoning). You can also add 1 tbsp. of olive oil. 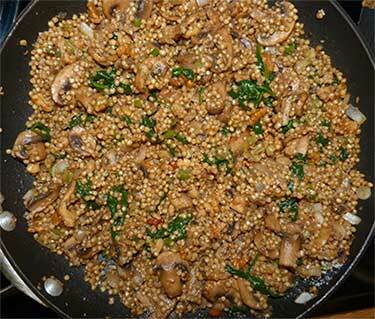 Add sorghum grain, return to a simmer and cook until tender, about 60 minutes. (I cooked it about 90 min.) Drain thoroughly. You can also use a rice cooker. Set cooker to rice mode and cook according to manufacturers instructions with the same amount of liquid. In a large wok or skillet, heat oil (or butter) over medium heat. 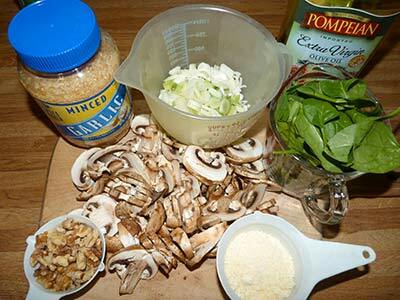 Add mushrooms and garlic and cook for 3 minutes. Stir in green onions and walnuts and cook until mushrooms are golden brown. Add cooked sorghum to the pan until warmed through, about one minute. Stir in cheese and season with salt and pepper to taste. Divide among serving dishes, garnish with additional cheese and enjoy! Serves 4 (as main dishes). This recipe is from Natural Noshing. Finished sorghum and mushroom pilaf in skillet. I was sleeping in my favorite chair today and then I smelled something REALLY good and came in the kitchen to see WHAT Maizy was cooking. I had to stare at her a really long time, but FINALLY she let me lick the bowl. Yummy! 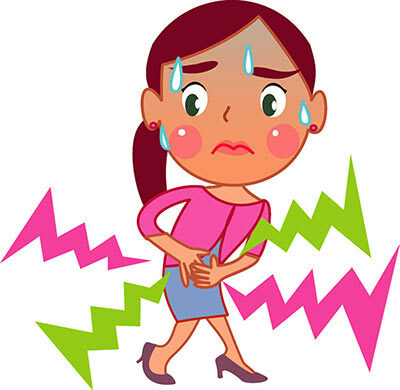 Celiac disease, also known as celiac sprue or gluten-sensitive enteropathy, is an inherited, autoimmune condition that affects the digestive system. Eating products that contain gluten, including wheat, barley and rye (and some oat products), creates an immune response that causes severe inflammation of the lining of the small intestine. This damage to the digestive system interferes with the ability to absorb nutrients from food. Malnutrition and other related complications are the result. Essentially the body is attacking itself every time a person with celiac consumes gluten. Over time, untreated celiac disease can cause permanent damage to the digestive system resulting in additional autoimmune and inflammatory conditions and can even cause cancer of the small intestine. The only known treatment for it at this time is to completely abstain from eating anything containing gluten. Celiac disease is not a food allergy or a food intolerance condition. For celiacs, going gluten-free is not a fad diet and is not something we chose to do to be trendy. It is a serious medical condition with severe consequences for those who do not follow a strict gluten-free diet on a daily basis. It was warm enough to go for a WALK today and I wagged a LOT! Then I got to sniff EVERYTHING and THEN Maizy gave me a COOKIE when we got home! Life is good. I found this recipe at So Simple Gluten Free with Jen. 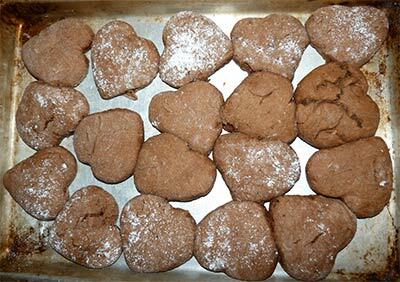 I substituted Carol Fenster’s flour blend for the Bob’s Red Mill All Purpose Flour. They turned out so good I made a second batch and added dark chocolate pieces and walnuts. 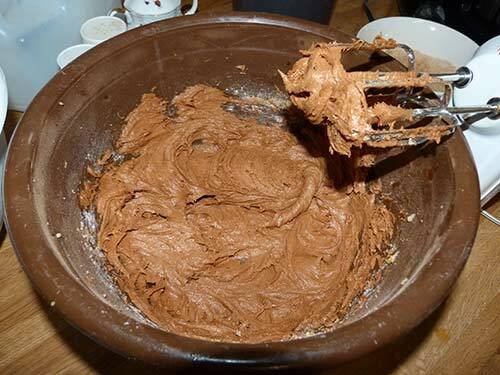 In a stand mixer, combine shortening and sugars until creamy. Add vanilla and eggs and blend for 1 minute. Add the remaining dry ingredients and beat on medium-low speed until incorporated. Using a rolling pin, roll to 1/2” thickness. 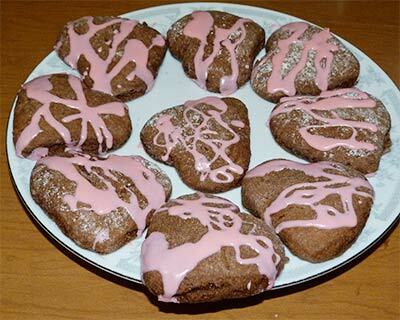 Using a heart-shaped cookie cutter, cut out cookies and place on a greased or lined cookie sheet. 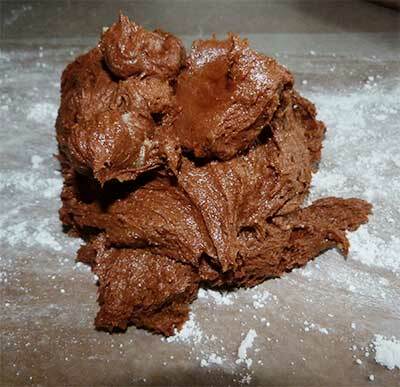 Bake cookies for 10 minutes. Remove from oven and allow to cool on a cooling rack. Warm frosting in a bowl in the microwave for 10 seconds. Drizzle over cookies. Cookie dough was very sticky. Cookie dough was too sticky to roll with rolling pin. The instructions say to use a rolling pin to roll out the dough, but this dough was much too sticky to roll out. 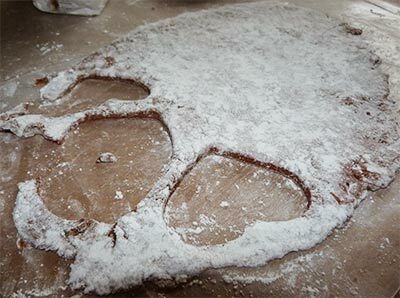 I dusted it with white rice flour and pressed it down with floured hands onto a floured sheet of wax paper until the dough was about 1/4 inch thick. I was afraid all that extra flour was going to make the cookies too dry, but it didn’t seem to matter. 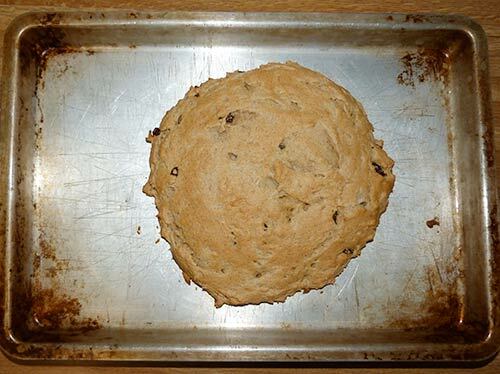 Dough with cookie cut out. I had to carefully cut them out and scoop them up with a floured spatula to put them on the baking pan. They were pretty fragile and got out of shape easily. First batch just out of oven – the flour still showed on some of them. After baking I was amazed at how much they had risen! They had risen to about ½ inch thick. These cookies are soft and cake-like. 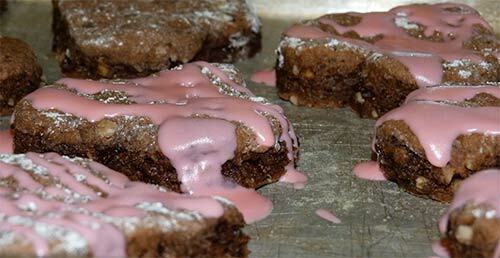 After cooling, I drizzled with icing and they were so cute – and tasty! 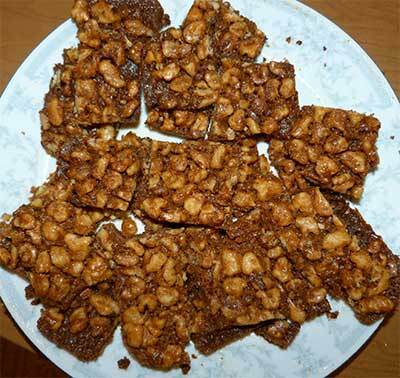 The second batch with the chocolate pieces and walnuts were just as soft and yummy. Pretty cookies ready to eat! I took the cookies to work to share and they were gone by the end of the day (which is good because I don’t need to eat this much sugar!). Second batch with chocolate chunks and walnuts added. Happy Valentine’s Day to all my gf friends! Maizy’s cookies smelled SO good but she said dogs can’t eat chocolate. How could something that smells so good be bad! NOT wagging! In 2002, I was diagnosed with celiac disease after having pretty severe symptoms for about ten years. Looking back, I believe I had celiac disease most of my life. I had occasional digestive issues during my teen years that became more frequent into my twenties. People would often tell me I looked pale and ask if I was feeling ok. During my thirties, I began to have anemia and was told by my doctor “women often get anemia, don’t worry about it.” The doctor had to keep increasing my iron supplementation to treat the anemia over the next few years. Then I began to experience more severe digestive issues. Since I was going through a divorce, my doctor told me it was probably just stress. When I began to lose weight rapidly in 2002, I went to a specialist and said, “Please find out what is wrong with me!” I had a blood test and an endoscopy that confirmed celiac disease. I was told the only treatment for it was to completely avoid eating foods containing gluten. So I spent the next year or so reading labels and searching the internet, trying to figure out what I could and could not eat. Today I still struggle with some of the long-term effects of being undiagnosed for so long. I have periodic bouts of connective tissue inflammation and fatigue, along with continuing episodes of colitis. Taking extra vitamin supplements and avoiding dairy products has helped some with these symptoms. I continue to look for ways to treat my symptoms with diet. My hope is that by learning more about cooking with gluten-free foods, like sorghum, I will be able to stay healthy and active for years to come. I became interested in sorghum after learning that corn and rice, the traditional gluten-free grains, aren’t really very nutritious. They tend to be higher in starches and sugars that encourage inflammation. A friend of mine gave me a gluten-free cookbook by Carol Fenster containing many recipes using sorghum and I decided to really explore cooking with it. So, that’s why I’m here. Do you have on-going symptoms, even after following a gluten-free diet? I would love to hear your story. Maizy had a tummy ache today and was really GROUCHY, but I licked her nose and she laughed and gave me a COOKIE. I help her a lot that way. What the heck is a scone? 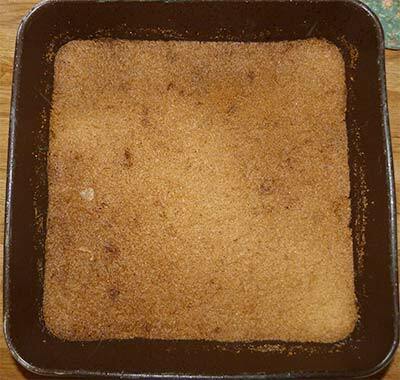 a small unsweetened or lightly sweetened biscuit-like cake made from flour, fat, and milk and sometimes having added fruit. I found this recipe for scones using sorghum at the Bob’s Red Mill website, so I decided to give it a try. I don’t think I’ve ever eaten scones – it’s not a food commonly found in Texas. (My mother never made them!) I’ve heard people talk about scones but I wasn’t sure what they were exactly. I used almond milk, butter, and raisins instead of currents. The dough was thick and sticky, but I was able to form it into the 8” circle pretty easily. I cooked it for 15 minutes and then sliced. It was pretty good – a little like a fat pancake. After making this, I searched on the web for scones and found out there are a lot of different ways to make them. 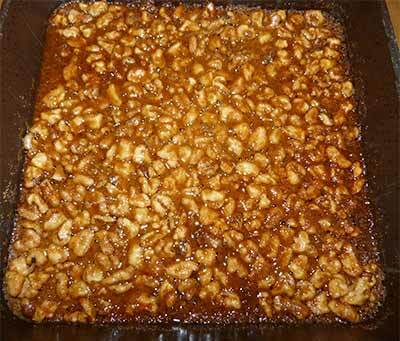 I will probably revisit this recipe later with some adjustments, like slicing before baking and adding walnuts. Have you ever made scones? What do you like to put in them? Fresh out of the oven it looks like a big pancake about 1.5″ thick. Preheat oven to 400°F. Coat baking sheet with cooking spray, set aside. In food processor place flours, cream of tartar, baking soda, xanthan gum, salt and sugar. Pulse on and off to combine the ingredients. Add cold butter and pulse about 15-20 times or until the mixture resembles coarse meal. Combine the lightly beaten egg and yogurt. Pour over the flour mixture and process for about 10 seconds or until dough forms large curds. Scrape the dough into a bowl. Quickly, but gently stir or fold in currants with a spatula. On baking sheet pat dough to 8” circle, 3/4” thick. Brush top with 2 tablespoons milk. Maizy must be having brain fog today. She almost forgot to put in my comment – SCONES SMELL REALLY GOOD! 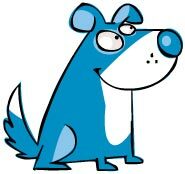 Wag!